Is this the first DVD to contain Season 11 episodes? About time they made a new Spongebob DVD, even if I don't usually buy them. At least phrase it “the 11th of September” like Nintendo did. Aren't we all bunnies now? Would've been more fitting if it was a Sportz or Ink Lemonade DVD. Out of all the dates they could possibly release this DVD, they go for 9/11. I'm surprised. And I do believe they should've released The Complete 10th Season first, then The Legend of Boo-Kini Bottom on October. I mean yes. This is a Season 11 episode but we are not sure what other episodes will be in the DVD. I'm guessing Season 10 and Season 11 episodes. I know that this episode comes from Season 11, I was just trying to remember if there were any previous DVDs that had S11 episodes on them? You know Nickelodeon’s gotten more egotistical with their branding when it appears four times on this promotional image. Welcome back. Don’t worry, it’s of the same quality as the Christmas one. 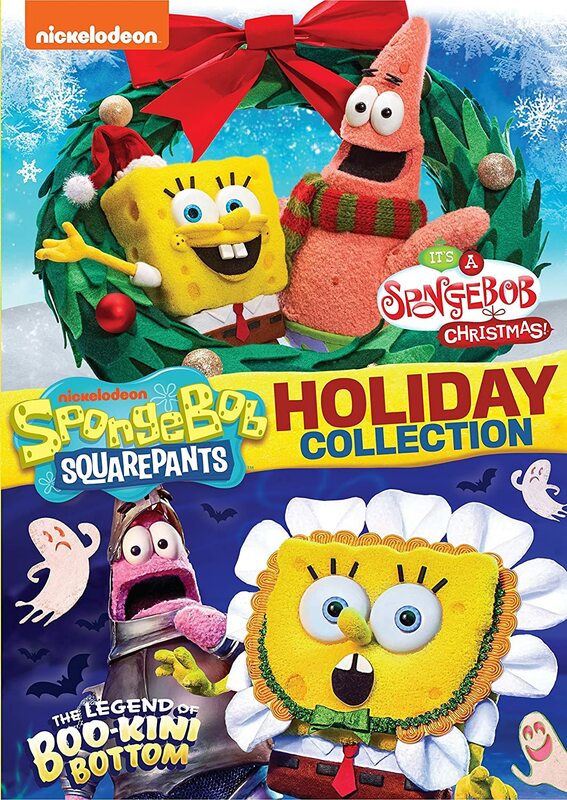 Looks like they're making a combo-pack with "It's a SpongeBob Christmas" as well, releases the same date as the single release. This is a pretty good idea. It helps that they’re not even different in tone despite the 5 year gap.